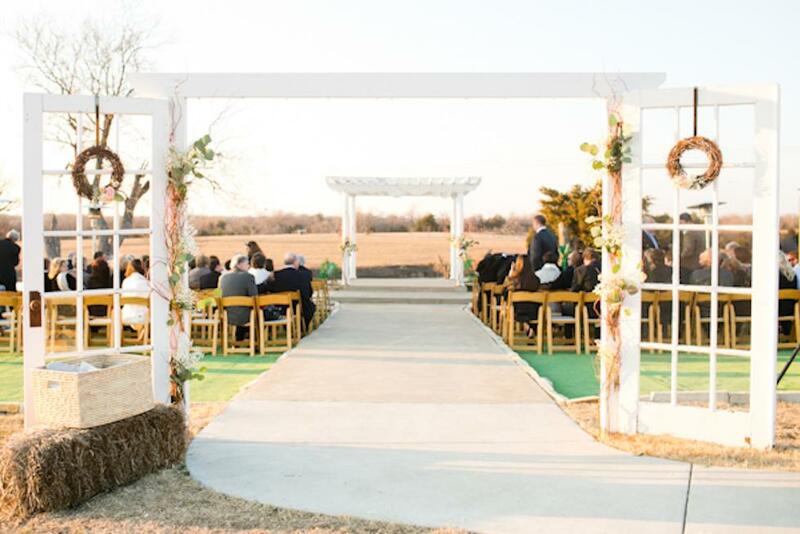 Rent Rock Creek Ranch Event Center | Corporate Events | Wedding Locations, Event Spaces and Party Venues. You will need a "crew" to gather & load your things and clean / stack rental items. WE DO NOT HANDLE RENTAL ITEMS! Chairs will be set for your wedding. Your guests must move the chairs to the reception or we can do it for $1 per chair. Everything else is provided by you so you can make your event uniquely yours. ALL your belongings and people (including Vendors/DJ/Band) must be out the gate 1 hr after end time. The end time is when the bride and groom leave. Gates are locked 1 hour after bride and groom leave (this will allow time for parents to collect your belongings and vendors/DJ/Band to be out by the time gate is locked. PLEASE CHECK WITH YOUR BAND or DJ FOR HOW LONG IT TAKES THEM TO BREAKDOWN. YOU NEED TO WORK THAT INTO YOUR TIMELINE!! Additional charges will apply if everyone and everything are not out 1 hour after bride and groom leave. ALL alcohol MUST be served from behind the bar. No glass drinking glasses or bottles please!! Drinks will not be served until the reception begins. Our maximum is 300 people!! This allows for plenty of room for guests and a dance floor. We will set the number chairs for your number of guests. If you are NOT serving alcohol, there will be a charge of $175 for drink service. This is your tea, lemonade, water and coffee. If you ARE serving alcohol, drink service is included wtih the bartenders. There is an additional charge for Bartenders and Security. You MUST use our Bartenders and Security. Bartenders are $175 per bartender, per night. Security officers are $45 per hour, per guard (4 hour minimum). SECURITY IS PAID ONE (1) HOUR BEFORE START TIME AND UNTIL EVERYONE IS OUT THE GATE. $1,500.00 deposit and a signed contract holds the date of your event. The remaining balance of $3,350.00 will be due 30 days prior to your event. You will have Thursday (5pm-7pm) of the event week for rehearsal. On your event date you will have (8am till the end time of event). All vendors, guest and wedding party must be out one hour after bride and groom leave (latest end time will be 12 midnight). Gates are LOCKED 1 hour after bride and groom leave. Provided are the chairs, linens, tables, tea, water, coffee and ice (cups not included) up to 300 guest. $1,500.00 deposit and a signed contract holds the date of your event. The remaining balance of $2,500.00 will be due 30 days prior to the event date. You will have Wednesday (5pm-7pm) of the event week for rehearsal. On your event date you will have (8am till the end time of event). All vendors, guest and wedding party must be out one hour after bride and groom leave (latest end time will be 12 midnight). Gates are LOCKED 1 hour after bride and groom leave. $1,500 .00 deposit and a signed contract holds the date of your event. The remaining balance of $1500.00 will be due 30 days prior to the event date. On your event date you will have (2pm till the end time of event). All vendors, guest and wedding party must be out one hour after bride and groom leave (latest end time will be 11pm). Gates are LOCKED 1 hour after bride and groom leave.